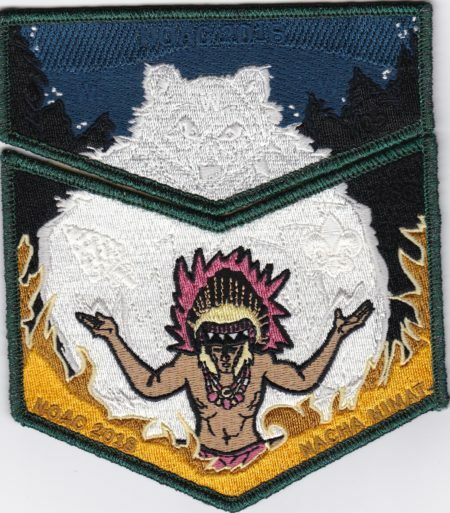 Nacha Nimat Lodge #86 had originally been planning to issue two 2-piece sets for the 2018 NOAC a trader set and a contingent set. They were not happy with the original execution and reordered them with some changes. The versions have gotten mixed up while in the wild, but this is how they were issued. Up first is the original trader set with a Green Mylar Border. There was no PatchScan sticker on any of these I have seen.